This Avana ranch is built to impress! With an open floorplan and 10 ceilings, the natural light is abundant. Enjoy the spacious great room adjacent to a breathtaking kitchen. The gourmet kitchen has a luxurious feel with granite countertops, engineered wood-style flooring, upgraded cabinets, stainless steel appliances (including a gas range and double ovens), and a large kitchen island! The openness of this home continues into the tranquil master suite with its 5-pc "super master bath and an extra-large walk-in closet. Enjoy all of this, plus a den/office, full-sized finished basement with a wet bar and a three-car garage! 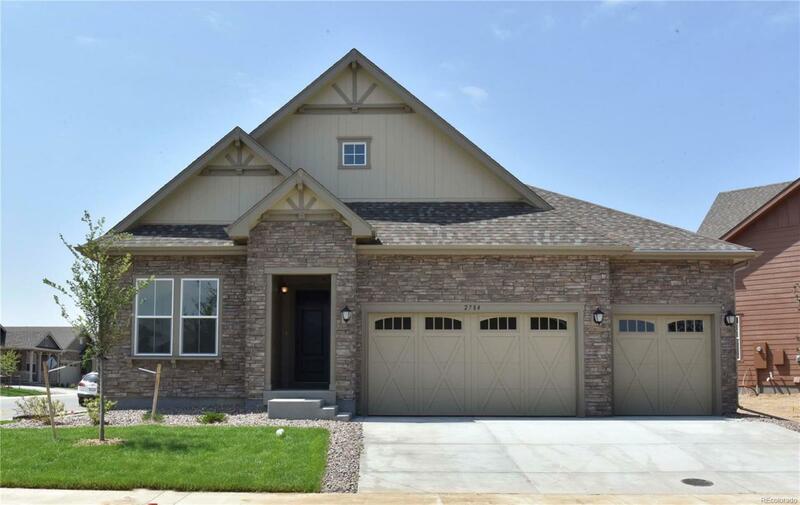 Dont let this breathtaking home pass you by; schedule your appointment to see it today!